Colonial Parking® was recently published in the nationally recognized publication, Parking Today’s, Women in Parking issue. 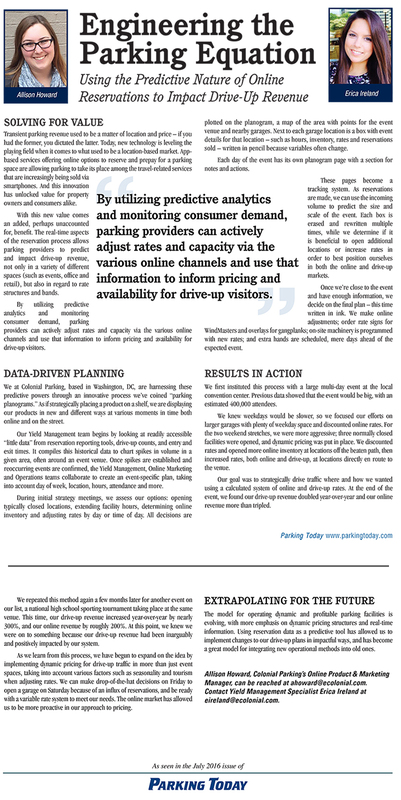 You can read the article on the use of parking reservations and predictive analytics below, or check it out at Parking Today by clicking here . Howard, Allison, and Erica Ireland. “Engineering the Parking Equation.” Parking Today July 2017: 30-31. Print.